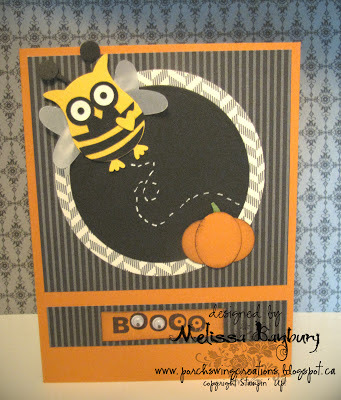 Today I wanted to share one more quick Halloween card with you before I turn crazy with Christmas! We have a general rule in my house that once Halloween is over it's free rein to decorate and get ready for Christmas - I can't wait!! I've already started working on a few crafts and cards in anticipation of...here's to hoping I can finish all the ideas I've managed to "think" up LOL. Hope you enjoy him! Please stay safe tonight - I'll be back tomorrow with a new project!